Konedata is a non-commercial Finnish site for farmers and other people who are searching technical data and information of tractors and combine harvesters. An English version of this site is not planned. 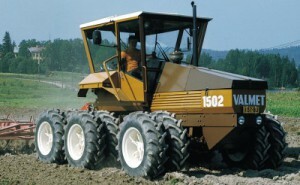 Technical data is based on sales brochures and data is valid for tractors/combines sold in Finland. Models with ”ei FIN” are not sold in Finland and the data is taken from Swedish, German or British brochures. the main brands in the 60’s/70’s/80’s were Valmet, Ford, MF, other important brands were Fiat, International, Leyland, David Brown/Case and Zetor. limited selection of brands sold in Finland: market share of Sampo is since beginning of the 1990’s 60 % and Claas 30 %. Other brands are New Holland and John Deere. Earlier also Massey Ferguson (not Dronningborg made) and small models of Fahr were sold.